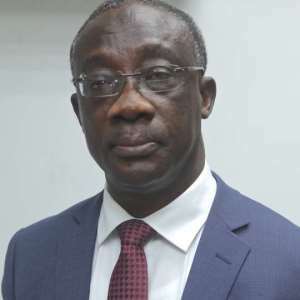 The Commissioner General of the Ghana Revenue Authority (GRA), Mr. Emmanuel Kofi Nti, has indicated that its revenue target of GH¢ 39.8 billion is achievable. It had raked in GH¢ 32.3 billion, last year, registering a shortfall of GH¢ 1.1 billion. The figure, however, represented a nominal growth of 22.3 per cent over the 2016 collection and was the GRA's best performance in the past five years. Mr. Nti expressed optimism that through the combination of effective supervisory skills, new initiatives in debt collection, sustained public education and strong application of the tax laws - sanctions, the 2018 collection target, could be within reach. He was speaking at the opening of the annual management retreat of the Authority in Kumasi. 'Transforming revenue mobilization strategies: the way forward' was the theme chosen for the two-day programme. The Commissioner General urged hard work, commitment to duty, regular audits, visits to taxpayers' business premises and regular compliance activities. 'Let's recommit to do our best for our country', he added. Mr. Nti signaled plans to undertake reforms of the customs warehousing, transit and re-exports regimes alongside intensified patrol to check smuggling. He vowed that they would be resolute in working towards the success of the excise tax stamp - an innovation meant to monitor the payment of the correct amount of excise duty, eliminate the sale of counterfeit and illicit products. There already appear to be resistance from some quarters but he said, they were determined to make sure it worked successfully to stop the infractions of the law. He touched on the introduction of the 'GFTrade and the Temporary Vehicle Importation Monitoring System (TVIMS) to aid the Customs Division to have access to the correct values of imported goods from the countries of exportation and verify values declared by importers. He called for innovative strategies to engage and encourage people in the informal sector to honor their tax obligations. Baffour Osei Hyiaman Brantuo, the Manwerehene of Kumasi, said paying tax was a civic responsibility.